There are thousands of public and privately-owned campgrounds catering to the needs of millions of campers using tents, travel trailers, motor homes or other types of RVs. Our campground directory will describe each, as to location, season, rates and amenities. The NRRS (National Recreation Reservation Service) is a one-stop reservation service for the the USDA Forest Service, Army Corps of Engineers, National Park Service, Bureau of Land Management and Bureau of Reclamation outdoor recreation facilities and activities. Manages more than 270 park units, which contain the finest and most diverse collection of natural, cultural, and recreational resources to be found within California. Colorado State Parks manages over 215,000 land and water acres which offers a variety of landscape to match the state's geography, from urban playgrounds to backcountry retreats, from mountain lakes to whitewater adventure. Offers campgrounds in thirteen state parks or forests with over 1400 campsites. Camping areas can be found in a variety setting including shadowy woodlands, sandy shoreline beaches and secluded islands. Year-round cabins, cottages and campgrounds in Delaware State Parks are perfect for getting away no matter the season. Or try a rustic tent site or equestrian site. Don't forget to book a ghost tour at Fort Delaware! Also see: www.destateparks.com. Florida's state park system is one of the largest in the country with 159 parks spanning more than 723,000 acres and 100 miles of sandy white beach offering year-around outdoor activities for all ages. Make your memories today in Iowa State Parks! Iowa State Parks offer camping enthusiasts a wide variety of camping opportunities in 55 parks, recreation areas and state forests. If camping isn't your style, try out a camping cabin, yurt or family cabin. Book your fun today! Idaho's 30 state parks offer something for everyone. We invite you to explore the diversity and beauty of our state park system from our endless trails to magnificent lake-side retreats, wide-open country sides and breathtaking mountain views. Experience nature in Idaho, sleep under the stars, view wildlife, climb the rocks, reel in a winning catch, enjoy a picnic, learn something new about yourself and make lifelong memories with your family. Discover Idaho's State Parks for yourself. Come stay and play. We've even saved a campsite for you. Illinois offers a diverse landscape rich in natural resources and abundant recreational opportunities. Many unique and beautiful places await you in the Prairie State. From Adeline Jay Geo-Karis Illinois Beach State Park on the Lake Michigan shore, to the spectacular overlooks of Starved Rock State Park, to the massive sandstone structures of Giant City State Park and world-renowned wetlands of the southernmost part of the state, Illinois has much to offer as a destination for camping, fishing, hunting, wildlife watching, boating, hiking, picnics, bicycling and horseback riding. Located in the heart of the Midwest, Indiana campgrounds and other facilities within the Indiana DNR offer a get-a-way destination for Hoosiers and out-of-state visitors alike. Whether you live in the area, or are just passing through the Crossroads of America, we welcome you to come camp, hike, fish and explore the great Indiana outdoors. Make your reservations to stay with us today! If you haven't visited a state park recently, look again. There's a world of outdoor adventures waiting for you! Kansas state parks provide utility and primitive camping. Most have access to reservoirs and wildlife areas. Many also have trails for hiking, biking or horseback riding. State parks and several public hunt Wildlife Areas now provide cabins, both primitive and modern. A few parks are preserved natural areas, allowing visitors to enjoy unspoiled wild Kansas. Many parks host annual events such as concerts, festivals, and competitions. Whatever your outdoor interest - hiking, camping, wildlife observation, fishing, bike riding, horseback riding, hunting, or just plain relaxing, a Kansas state park has what you're looking for. State park system includes 52 parks and one interstate park with facilities for meetings and conferences, fine accommodations, camping, golf, education and much more. Each Louisiana State Parks was carefully chosen for its outstanding and excellent recreation potential. Most State Parks feature a waterfront location, campsites and picnic areas. Manages state parks with camping, hiking, swimming, walking and bike riding and more. There are opportunities for picnics, outdoor performances, areas available for company or family gatherings, historic sites, skating rinks, playgrounds, athletic fields, interpretive programs and much more. Visit any of Mississippi's 24 state parks and uncover some of the best vacation spots in the world. Whether it's winding your way down a nature trail or relaxing by an open fire, state parks are some of Mississippi's best kept secrets. Montana State park visitors will find exceptional wildlife viewing, spectacular scenery, lakes and streams for angling and water sports, opportunities to learn about western history, and sites to appreciate the geological wonders of the state. We in North Carolina are blessed with beautiful beaches, majestic mountains and countless rivers and streams in between. Welcome to Nebraska's state park system. From Chadron, our first park established in 1921, Nebraska's park system now encompasses 86 areas across the state. There are park lands to suit virtually every outdoor taste.Whether you're seeking the ultimate in modern conveniences in a picturesque outdoor setting or yearn to get back to nature amid the unspoiled beauty of the wilderness, you can find just the right locale for you from among Nebraska's exceptional state park area...from magnificent Eugene T. Mahoney State Park in the east to the rugged beauty of Fort Robinson State Park in the west.At our staffed areas, you'll find a dedicated corps of hospitable folks ready to make your stay an enjoyable and memorable experience. Enjoy your visit with us and come back again soon. New Hampshire Division of Parks and Recreation manages over 73 state parks, campgrounds, historic sites, natural areas and thousands of miles of trails. Did you know that that 70 percent of New Mexicans live within 40 miles of a State Park? New Mexico has 35 diverse State Parks (28 of which have camping facilities) to explore, including cool lakes, mountain forests, canyons, desert beauty and fascinating historical sites - even dinosaur tracks! New Mexico State Parks offer family-friendly settings, endless recreational opportunities and hundreds of special events and educational programs each year. In 2008 the parks attracted 4.1 million visitors. Provides island camping, tent and trailer camping, boat launching facilities, hiking trails, beaches and day use areas with picnic tables and grills. Provide and protect outstanding natural, scenic, cultural, historic and recreational sites for the enjoyment and education of present and future generations. Rhode Island offers five campgrounds with over 1000 campsites located in woodland and beach settings, on freshwater lakes and within minutes of Rhode Island's beautiful saltwater beaches. The sites range from primitive to developed sites with electric, water and sewer hookups. More than 80,000 acres of campgrounds with campsites along the lake, trails in deep forests, shaded picnic areas and tours of plantation homes. Manages more than 2,000 campsites ranging from primitive to plush. Recreation opportunities found in the state parks are as diverse as the parks themselves. Provides comfortable and economical overnight accommodations, ranging from primitive sites to developed sites with electric and water hookups. Wisconsin state parks are as varied as the areas around them--there are forests, prairies, lakes, rivers, hills, and valleys. Encore RV Resort Communities - Located in some of the country's most desirable resort and vacation destinations. Whether you crave the warm sandy beaches of Florida, the serenity of the Northern woodlands, the beauty of the Eastern Seaboard, Arizona's Valley of the Sun, the Rio Grande Valley of Texas or the Pacific Coast, Encore RV Resorts will meet your every need. Daily, weekly, monthly and seasonal stays available. 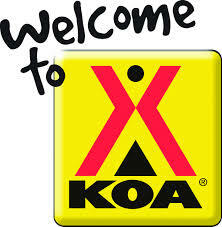 KOA's GREAT People are committed to making your camping trip memorable and fun for everyone! We pride ourselves on meeting and exceeding our guests' needs and expectations. You'll be glad you stayed with us! 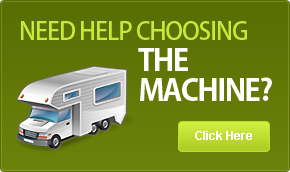 Morgan RV Resorts offers 44 RV Resorts in the most beautiful areas of the US. From coastal Maine to the Great Lakes region to sunny Florida, there is an RV Resort for everyone. Thousand Trails provides memorable outdoor experience and family fun for its members at unique destinations in North America. Our members and guests have many options when choosing how to spend their valuable leisure time, so we consistently strive to increase their satisfaction by creating a safe, fun, and relaxing atmosphere. Manages 65 parks and 29 regional interpark trails in Alameda and Contra Costa counties. Has some of the most beautiful parks in the Pacific Northwest. All but two camping parks are located on the world famous Rogue River. Campsites, camper cabins, trails, reservoirs (Carter, Flatiron, Horsetooth, Pinewood) from the northern Front Range of the Rockies to Estes Park, Colorado. Camping, cabins, yurts, vacation cottage, fishing, hiking, biking, picnic facilities, beaches, swimming and our annual 12 day fair are just a taste of the activities Snohomish County Parks has to offer. Plan your visit with us today. OC Parks manages nearly 60,000 acres of parks, historical and coastal facilities and open space for the County of Orange as part of OC Community Resources. OC Parks includes roughly 32,000 acres in more than 20 urban and wilderness parks, 7 miles of beaches and other coastal facilities and 27,000 acres of open space lands.